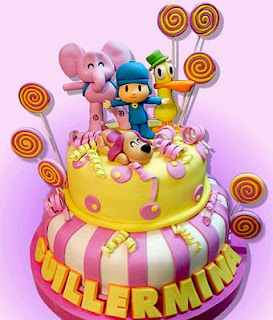 Cakes or birthday cakes are one of the most anticipated parts of any party, and when it is for children's celebrations, these usually have nice shapes, ornaments and bright and varied colors. Here are some models of Pocoyo and his friends cakes, which surely you'll enjoy. This first birthday cake is a 1 floor, and has the name of the owner of the party in colorful blocks, on top Pocoyo party with friends. 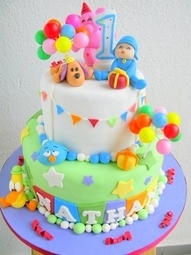 Cute birthday cake two floors, the decor is cute, it's Pocoyo and his friends on both floors and a series of colorful balloons. 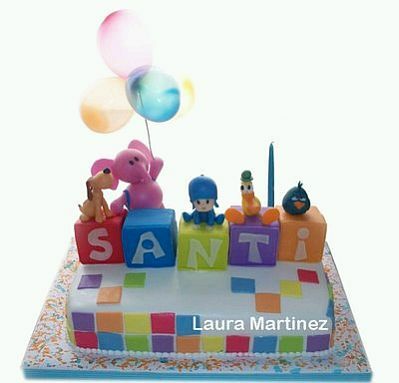 Beautiful flat birthday cake, rectangular, decorated with Pocoyo waving and a series of colorful circles. Another beautiful birthday cake presentation is one floor and rectangular in shape, at the top are Pocoyo and his friends. 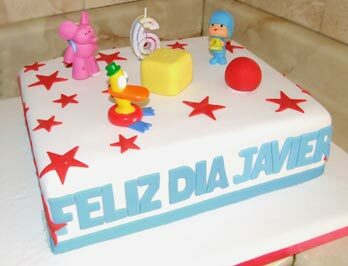 And we continue with rectangular birthday cakes in this case decorated with stars, Pocoyo and his friends. And how about a octagonal pattern as the picture, it is also very good, at the top, Pocoyo and his friends. 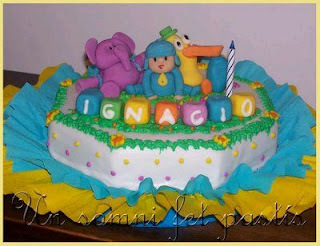 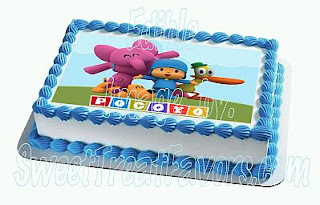 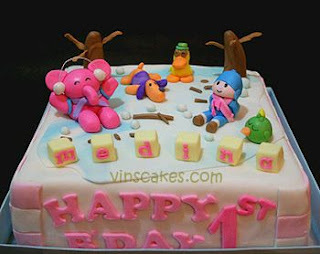 Rectangular cake in which every detail contributes to make it look so well, the name is written in small colored cubes on them are the characters of the animated series Pocoyo, but also Eli, the elephant, holding some balloons . And in this other model of two floors, with Pocoyo and his friends at the top, the original detail are spiral shaped pacifiers. 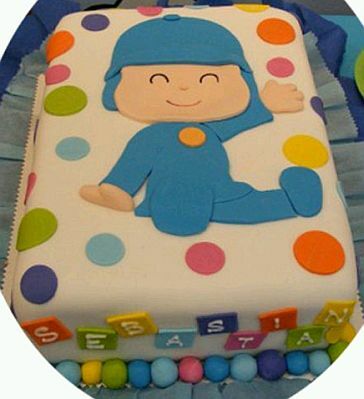 And if you like the idea of ​​a cake "freeze", this decoration is perfect with snowflakes and with Pocoyo and his friends very warm. 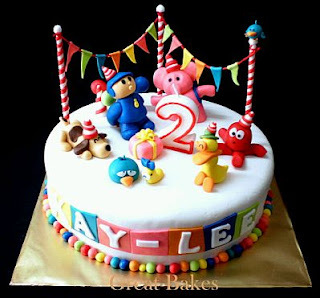 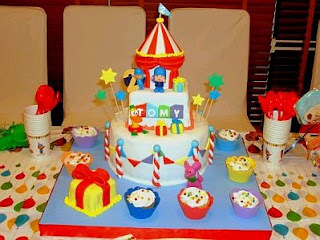 Finally, Pocoyo cake in the circus, accompanying friends and in the bottom decoration resembles lanyards that are placed in these locations.